I think, somewhere deep in the bowels of Hollywood, there’s a guidebook for the third installment of superhero movies. It says you have to take everything good from the first two films and since it worked, you add more of it. You make it bigger, better and more overdone. Unfortunately, Sam Raimi received a copy of this guide and held to it while making the latest installment of the incredibly successful Spider-Man franchise. What Raimi has done, though, is invested Parker with an enormous ego and not enough reason to fight it. He has plenty of bad guys to fight, as well as two beautiful women he must decide between (more on this in a minute), so his ego is being completely sated. It never really gets him into trouble and therefore his return to “good guy” is totally constructed in order to make him come out positive in the end. It doesn’t work. 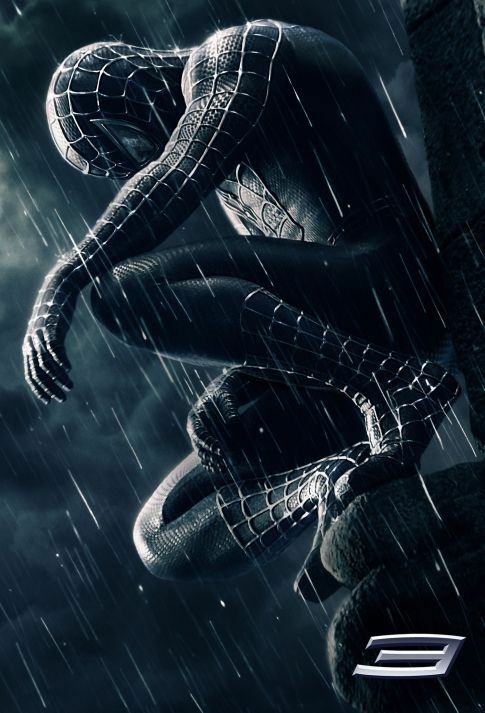 Raimi wants this film to deal with bigger issues and themes, most notably loss and redemption, but he never lets his characters really explore them. In the end, I don’t think he trusts his audience. Instead, he lays on the melodrama and keeps throwing in characters from the comic in order to please the fanboys (and girls) without completely understanding why they work in the comic and not necessarily on screen. It comes down to a case of just because you can create the Sandman, doesn’t mean you should. Especially when you use him as a manufactured emotional ploy by changing the history of your past two films and creating a reason for Peter Parker to really (and I mean really) hate him. When you throw in a one-dimensional Eddie Brock and a revamped Green Goblin, there is just too much for one movie to contain and still be effective. But the most indicative problem here is the inclusion of Gwen Stacy (Bryce Dallas Howard) as the second love interest. Okay, full disclosure time. I’m a comic book geek. I know the whole, original story of Gwen Stacy, a mainstay in “The Amazing Spider-Man.” Gwen was Peter Parker’s first love and when she died it was a pivotal moment in not only Parker’s life, but in the world of comics as well. It was also played out cinematically in the first Spider-Manwith Mary Jane Watson filling in for Gwen (and, ironically, living). The plot, the Green Goblin knowing Spidey’s true identity and trying to off his girlfriend by throwing her off a bridge, is the same. So why is Raimi throwing her into this new film? He’s trying to appease too many people. Had he trusted himself, and his audience, Raimi could have created a film which held the essence of the comic book and still been a weighty and intelligent cinematic spectacle. What he ended up with was a conglomeration of computer generated fights and pretend emotions in search of a real feeling.